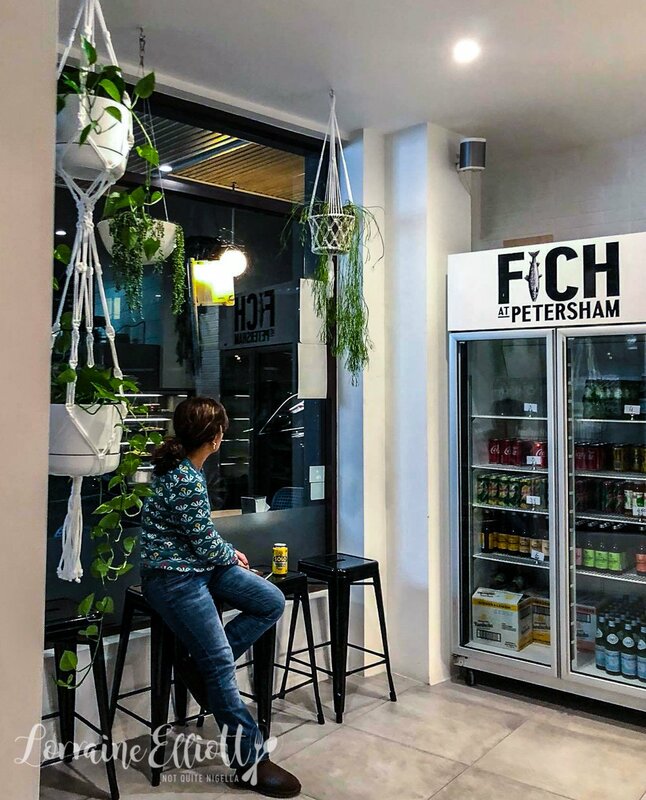 Sydney is getting the fish and chips that it needs with Fich in Petersham. 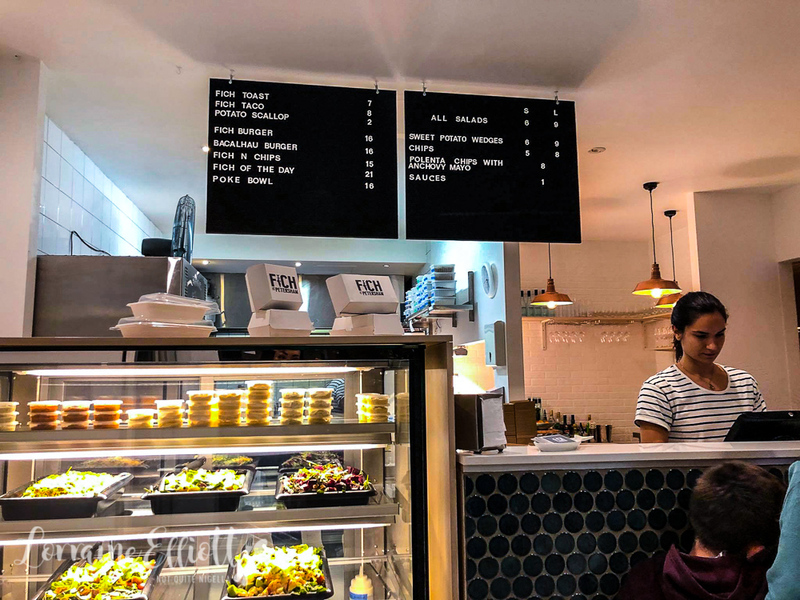 Fich is by two former Bennelong chefs Jose Silva and Manny Paraiso that does a fast take away and eat in trade. It's remarkably wallet friendly with fantastic fish tacos, grilled whole fish, salads and importantly, amazing fries. It has been an age since we saw Celia and Pete but thanks to the wonders of social media I feel like it hasn't been long at all. 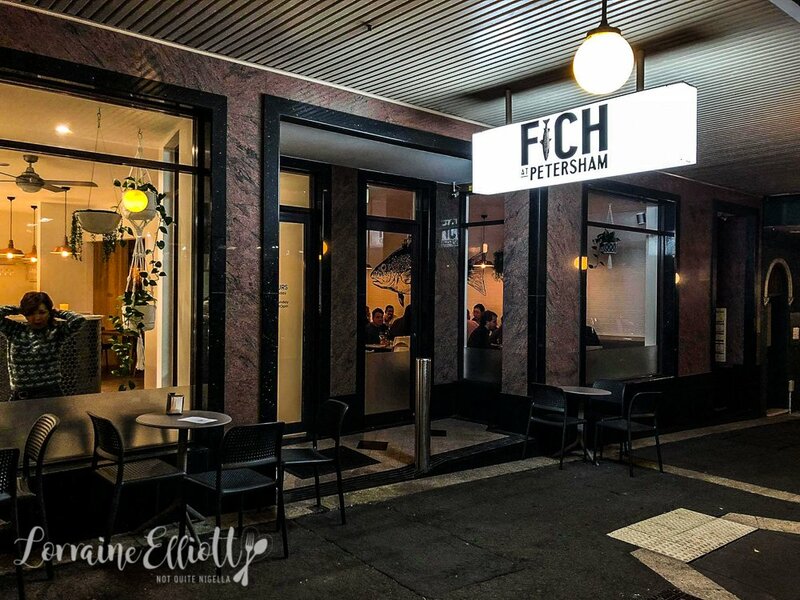 I had Fich on my radar for a while but when I saw on Celia's Instagram they had been twice and loved it, we decided to catch up here one Sunday night over dinner. And apologies for the quality of the pics, I accidentally left my proper camera at home and had to use my iPhone. When you enter there is the takeaway counter and to the right is the eat in restaurant which is currently quite empty at the early hour of our dinner but later will become entirely full. 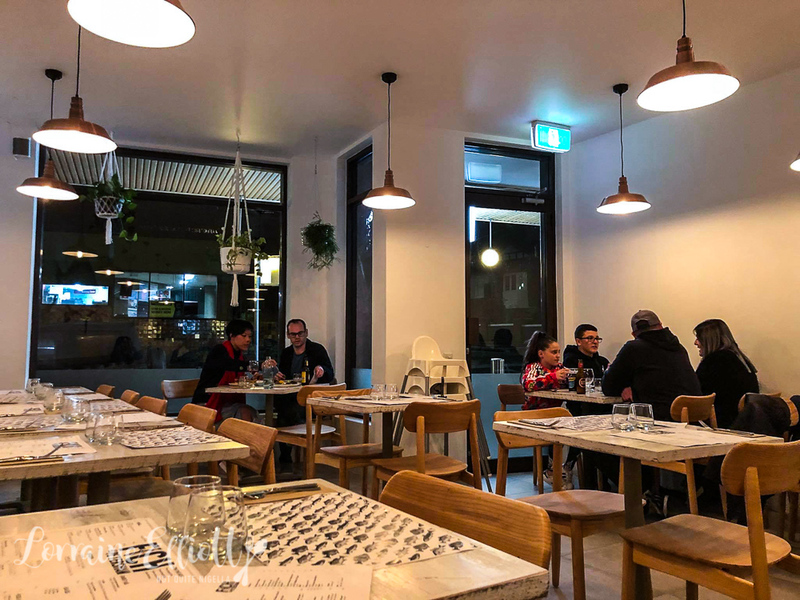 You can book a table to eat in and service is lovely and helpful. Fich is also licensed but we've had a weekend of drinking so we lay off. Since we're dining with Fich veterans we go with a few things that they suggest. These potato scallops aren't like the thin ones I remember from my teenage years. These are fat, crunchy and come with tomato sauce on the side. I had an inkling I might enjoy the fish taco but I didn't know how much I would adore this version. 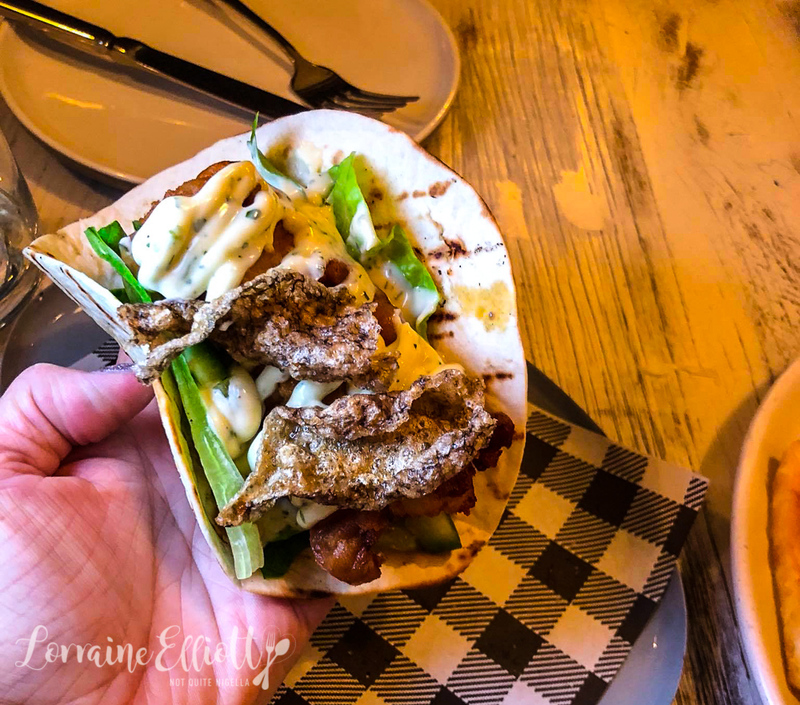 There's a deep fried fish fillet paired with butter lettuce, salsa, herb mayonnaise and crunchy deep fried fish skin which is a genius addition keeping the whole thing crunchy. It's also quite a big taco without being overfilled or difficult to eat. 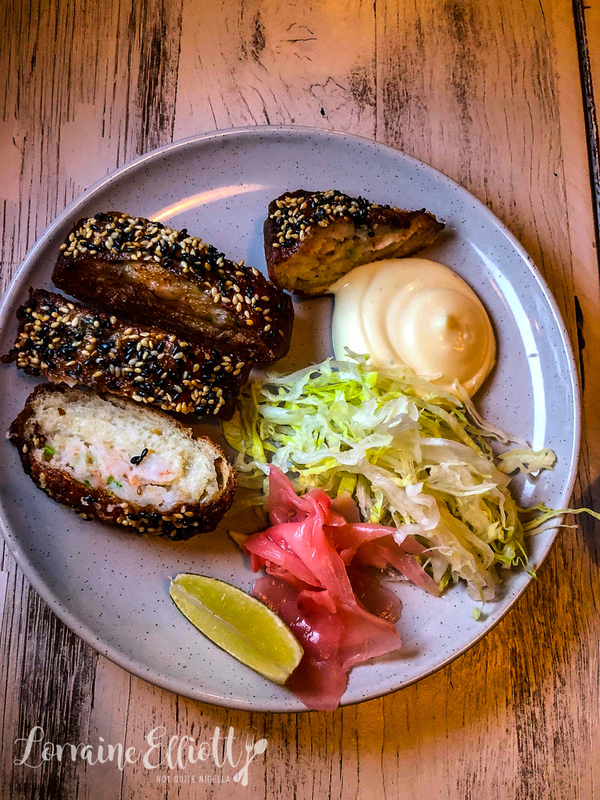 The fich toast is seasoned fish and prawn meat rolled up, fried and sliced up into four pieces. It comes with iceberg lettuce, pickled ginger and a citrus aioli. I love the hit of ginger with this and it's very moreish. 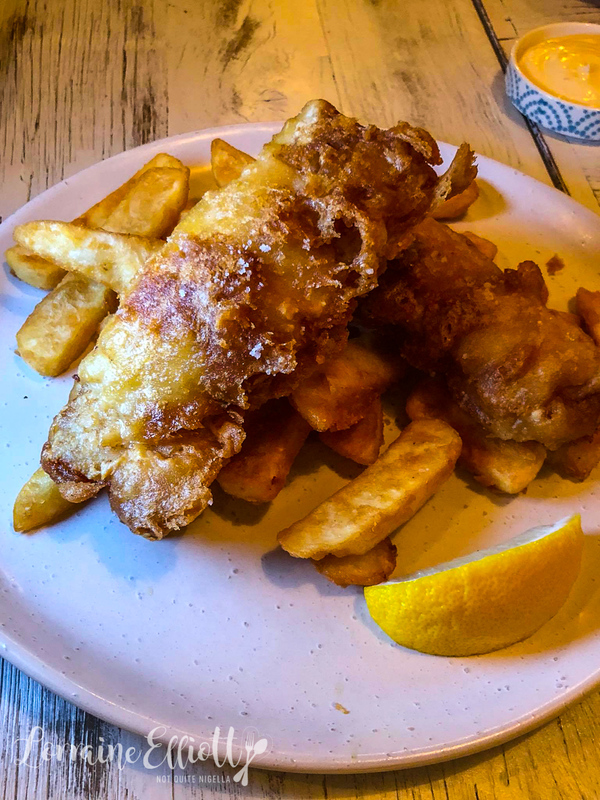 We had to try the classic fish and chips. 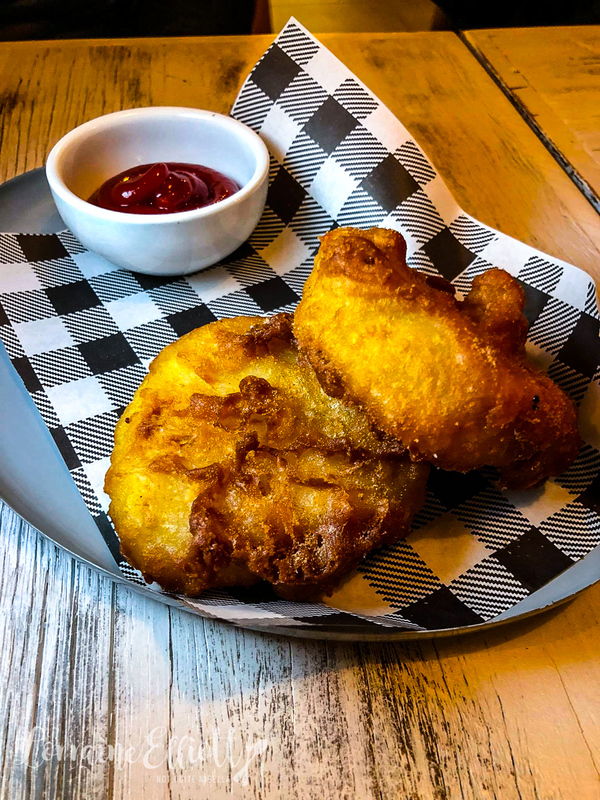 It's beer battered New Zealand ling which is moist on the inside and crunchy on the outside. And the chips? Well they are simply amazing. Crunchy golden and just made for dipping in sauce or eating on their own they are that good. Last time Celia and Pete dined here the skate schnitzel wasn't available so Celia is very happy to see it on tonight. 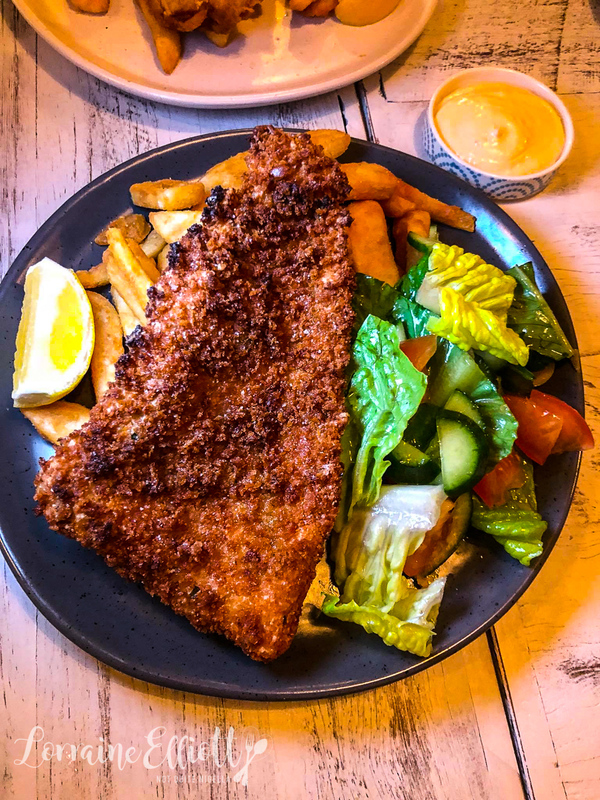 It's a crunchy crumbed fillet, enormous in size, also served with those amazing chips and a small side salad. I dab pieces in the piri mayo. As a side note: the sauces are just $1 which is a really fair price for sauces. And then comes out my favourite dish of the night (apart from the fish taco and fries). 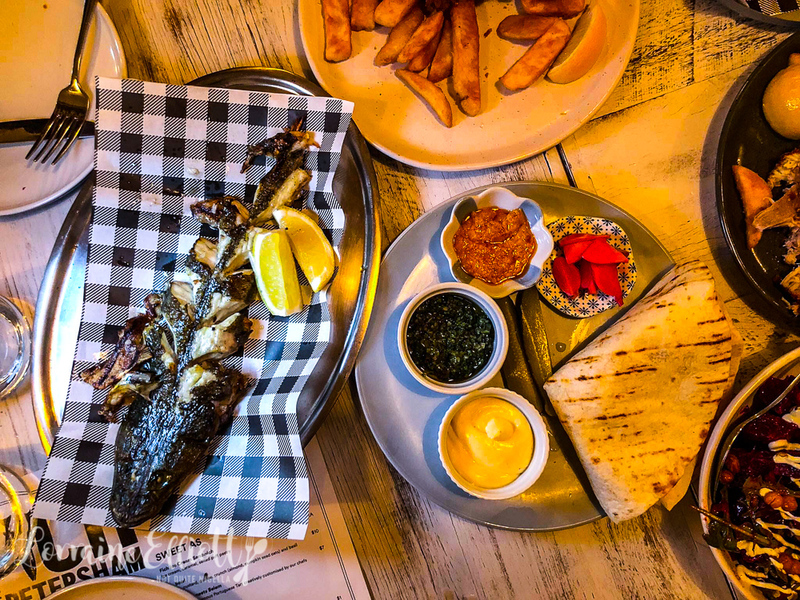 It's the whole grilled flathead which is a fish I usually use for fish and chips rather than grilling but the grill treatment here really suits it. The flathead is served whole but cut into so it is easy to take the flesh off without getting too many bones. 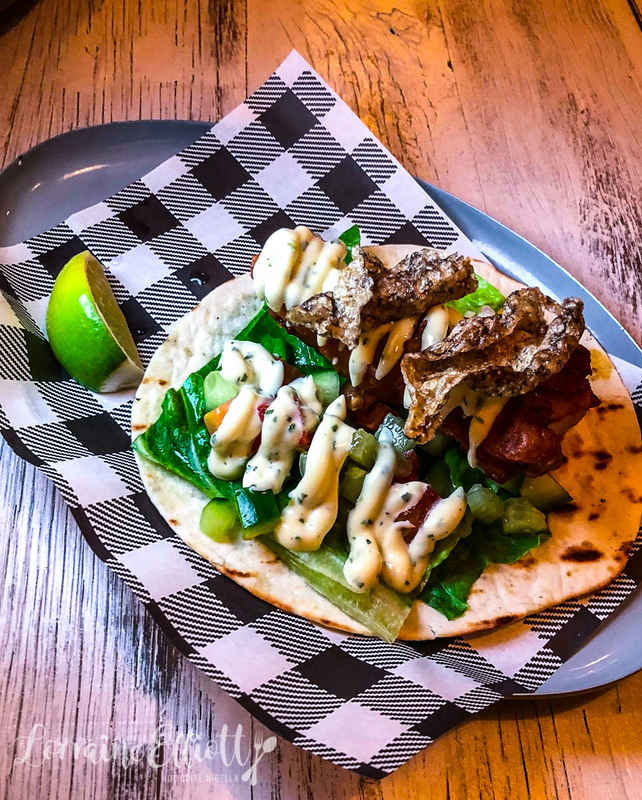 It comes with a warm grilled flour tortilla, molho verde, aioli, piri piri sauce, pickled radish and lemon. It's just about the perfect way to eat a whole grilled fish and both Celia and I decide that this is how we are going to serve grilled fish the next time we cook it. 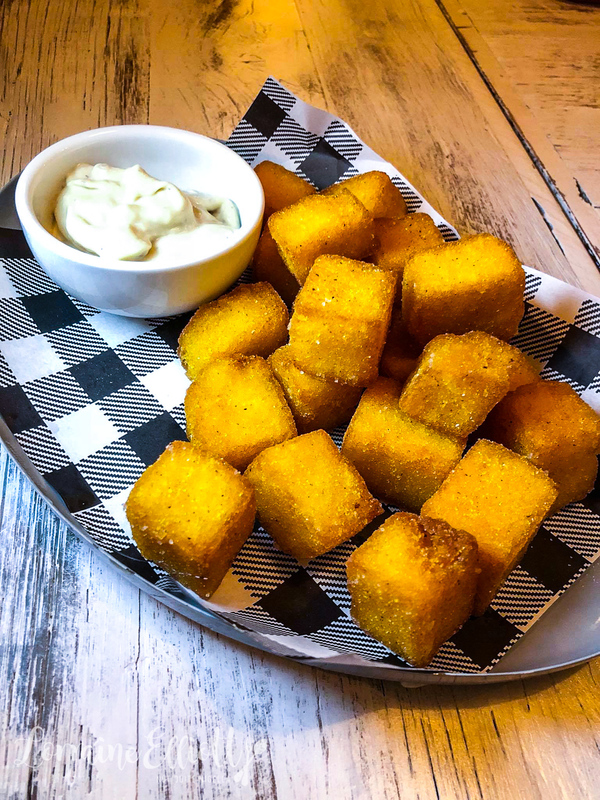 Probably the only thing we didn't devour were the polenta chips. It's not that they're not good, it's just that as Celia diplomatically points out, other things shone more. I'm the annoying friend that suggests salad in the middle of a seafood feast but I do love salad. It's a sickness, I know and every time I suggest it, a voice in my head says "Nobody makes friends with salad". 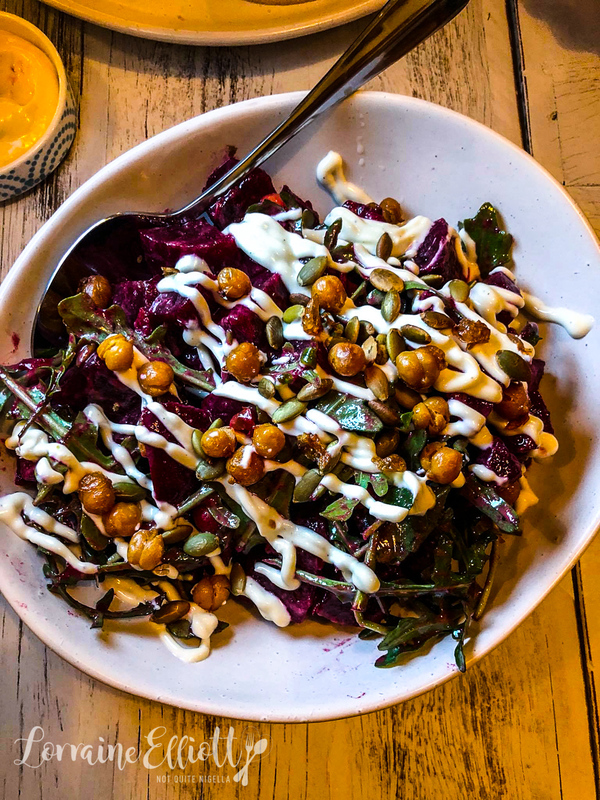 This beetroot salad is made with roasted purple beetroot chickpeas, rocket, labne and pumpkin seeds. It's fresh and sweet and goes well with the onslaught of deep fried food that we ordered. There are three desserts on the menu and we decide to share two of them. 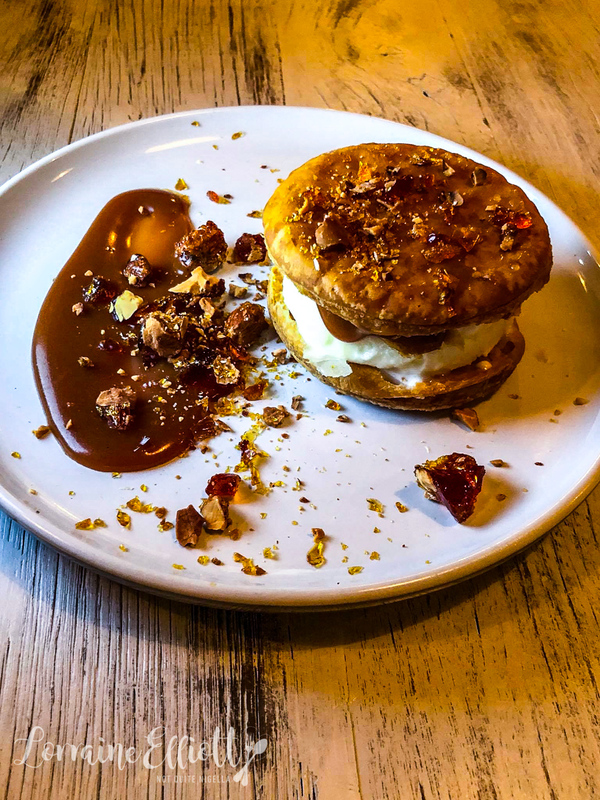 The ice cream sandwich is vanilla ice cream between salted puff pastry with a thick caramel sauce and praline. It's quite nice and my favourite part is the praline although I preferred the dessert below. Jose, one of the chef owners of Fich also owns Sweet Belem, the Portuguese custard tart shop and this dessert combines the two businesses. 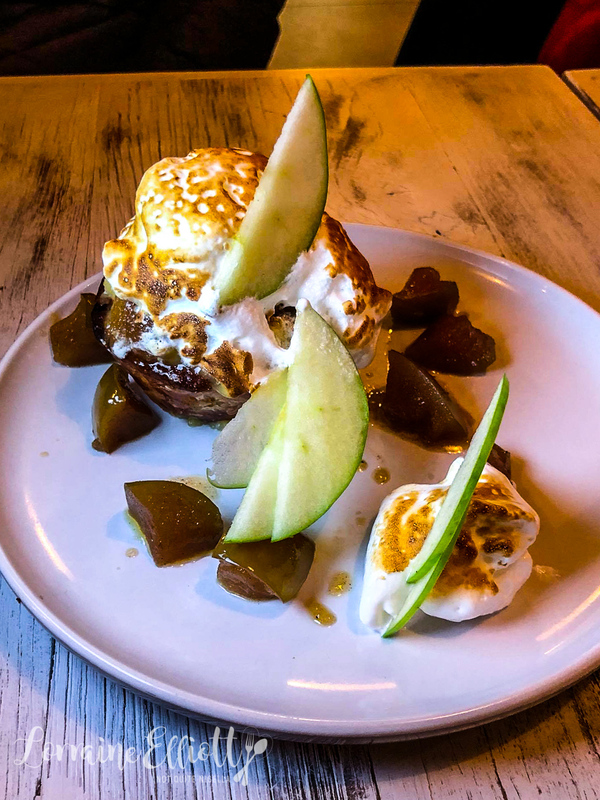 This is one of the Sweet Belem custard tarts topped with lemon curd, meringue and fresh and poached apples. Pete describes it a "tszuj'd custard tart" which it is and is sweet, fresh and gooey at the same time. So tell me Dear Reader, do you love salad or are you not friends with salad? And do you prefer battered, crumbed or grilled fish? And do you find it easy to slip back into friendships with people you haven't seen for a long time? 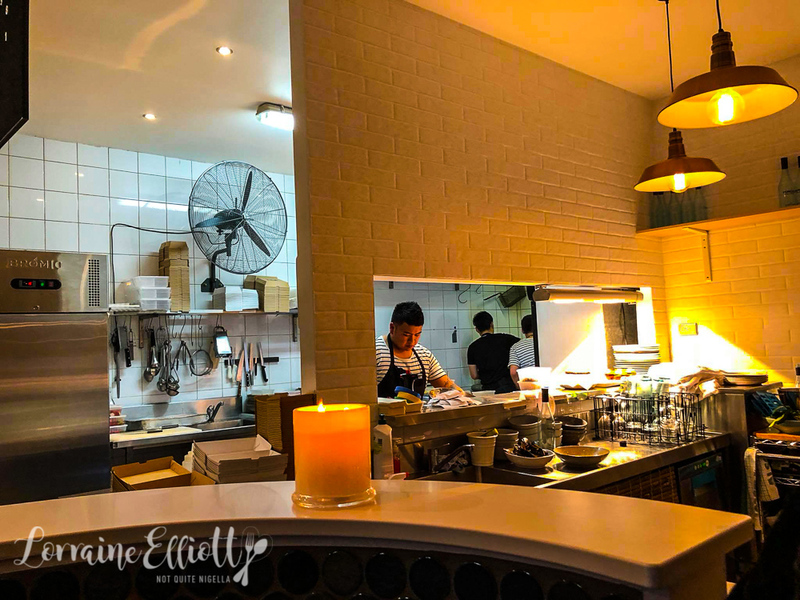 restaurantSaint Peter, Paddington for My Birthday Dinner! restaurant Saint Peter, Paddington for My Birthday Dinner!